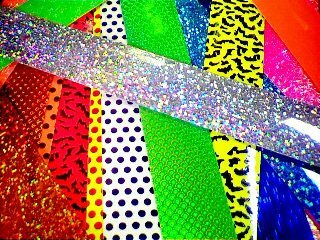 Bulk Reflector Prism Tape Sale! 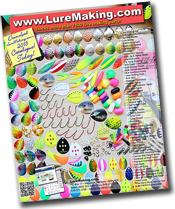 Great for dressing up your spoons, crankbaits, spinners and other lures. This tape is 1 inch wide (25.4 mm) and is sold in packages of 25 assorted pieces. The easiest way to add brilliant colour to any lure. This tape has self sticking waterproof glue...just peel off the backing and stick it onto any lure! Cut to any size or shape!